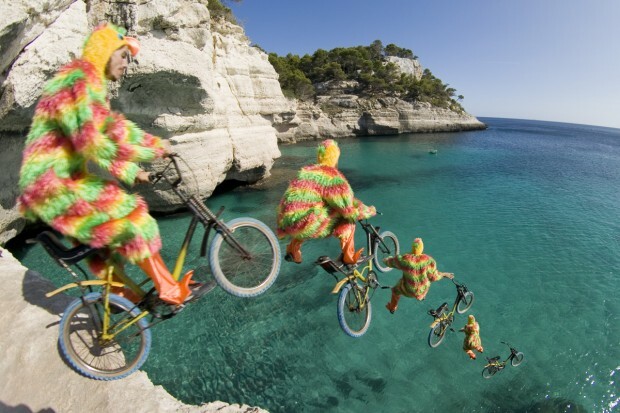 Ridiing over the fiscal cliff? It is not only the people of the United States that should be praying that their political leaders have enough sense not to push themselves off the so-called “fiscal cliff”, but the rest of the world as well. “Fiscal cliff” is a shorthand term used to describe the serious challenge that the US government will face at the end of 2012. In the US Congress, Republicans want to cut government spending and avoid raising taxes particularly on the wealthy who, they say, are the investors and job creators, while Democrats are looking for a combination of government spending cuts and tax increases especially on the wealthy. The consequences of not reaching a compromise by year-end are far-reaching including pushing the US into another period of recession. But it seems that the bitterness surrounding the Presidential election, in which Barack Obama was elected to a second term, continues to define the Republican attitude to negotiations, and if it doesn’t cause them all to go over the “fiscal cliff”, it will create so much uncertainty that investors – including those who are large purchasers of US bonds – would be reluctant to invest. Even families, faced with the uncertainty over new taxes or job losses, have begun to rein in their spending and this will have an effect on the economy, probably leading to no growth and higher unemployment. One would have though the political leaders of the world’s largest economy and a super-power would have been capable of greater maturity than they have shown in negotiating sensible positions in the interest of their people. But, it appears that large size and big population are no more a summons to responsibility than are small size and small population. The quest for narrow political victory overrides wider national interest every time and everywhere. But that is not the only problem that the US faces. There is yet another hurdle to jump. If it is not met satisfactorily, it will also have an impact on the global economy and, especially, on countries for whom trade, investment and remittances are important. This hurdle is the limit on US debt. Congress set that limit at a staggering $16.4 trillion, but by the next three months, the US is likely to hit that limit with a bang, requiring Congressional approval to increase it. Another set of political bickering will then begin which may lead only to stop-gap measures and not the comprehensive solution that is required. For countries in the Caribbean, if the US problems are not solved, they can expect fewer tourists, less investment and much reduced remittances. And while the US will have to wrangle itself out of its dreadful situation, the Eurozone area of the European Union (EU) countries has been facing one difficulty after another in relation to the level of debt among several of its member-countries. In the first quarter of 2012, combined EU economic activity was flat, and in the second quarter it actually contracted. The Organization for Economic Cooperation and Development (OECD) - the premier joint economic think-tank of both the US and the EU - warns in a report that Europe’s debt crisis is “a far bigger threat to the world's economy” than the US ‘fiscal cliff’ and “could drag Europe into a deep recession in the next two years and the US along with it”. The OECD says that unemployment is high with around 50 million jobless people in the entire OECD area. Worryingly, it also says unemployment is set to remain high, or even rise further, in many countries unless structural measures are used to boost near-term employment growth. But, so far, governments have mounted no programmes to deal with unemployment as aggressively and effectively as the situation warrants. So, while the US “fiscal cliff” is proving to be as precipitous to the Caribbean as it is to the US, events in Europe offer no golden parachute. The better situation in the emerging markets is good news. If they continue to grow and begin to promote consumption in their own economies through increased imports from the US and the EU, this will have the effect of boosting those economies, reducing their fiscal deficits and improving employment. The news is not so good for small countries that have tied themselves almost exclusively to the US and EU for trade and investment, and which, while some of them have developed relations with China in particular, have neglected the opportunities that exist in Brazil, India, Indonesia, Russia and South Africa. Even with regard to the Chinese, trade is largely one way in China’s favour and loans – mainly for construction that employs a majority of Chinese labour – makes very little immediate impact on the economies while increasing their debt levels. Of the 15 independent countries of the Caribbean made up of the 14 Caribbean Community (CARICOM) countries, and the Dominican Republic (DR), only six - the Bahamas, Belize, DR, Guyana, Haiti and Suriname recorded over 2 per cent growth in 2011. Of the other 9, four actually had negative growth, and growth in the remaining 5 was marginal. Guyana and Suriname are the two sole countries that have enjoyed an average growth rate of 4 per cent over the last five years. It may well be argued that many of the Caribbean countries have already fallen off their own fiscal cliff and are failing to rescue themselves through cooperation and integration in their regional and international arrangements that might be a more viable way of saving themselves, than limited national scrambling.